Get into the cage, take some swings and see if you can set the high score against your friends! Our interactive MLB batting cage set is 59 pieces of pure baseball fun! Set your team minifigure on his rotating swivel and swing for targets that simulate singles, doubles, triples and home runs. One of our best values at OYO Sports! 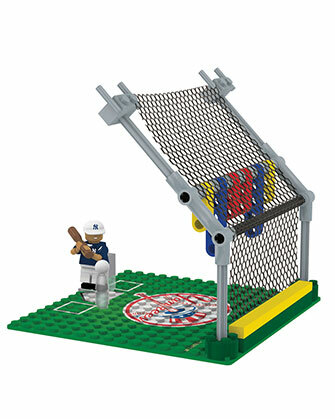 Accessories: 1 team player minifigure complete with hat, bat and baseball. 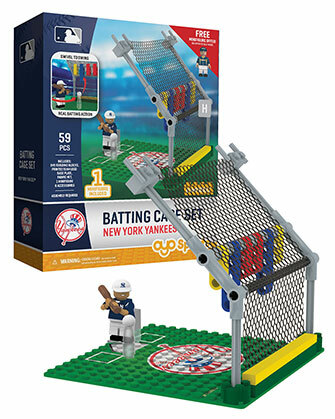 A team-branded surface, batting cage net and colored score markers to accrue points with. 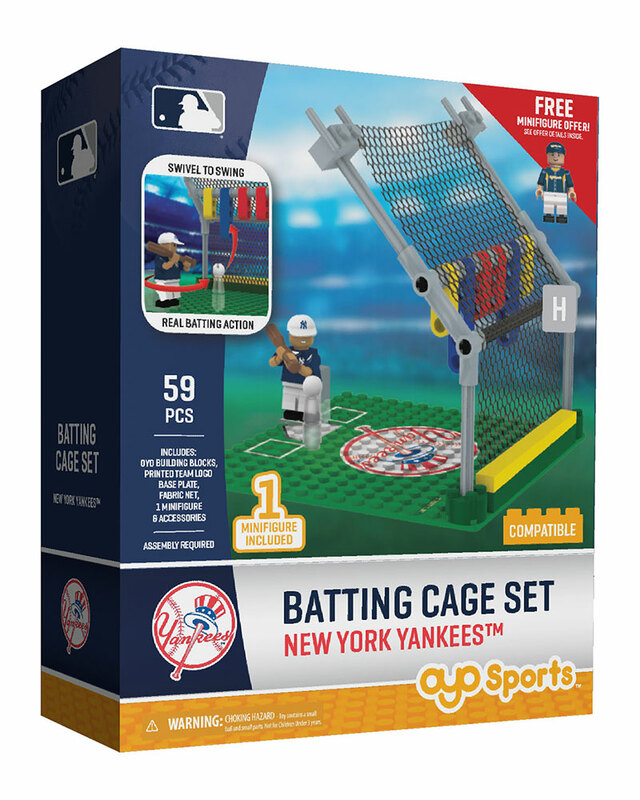 Includes a redemption offer for a FREE MLB player minifigure. This is great! My younger grandson will love it. I plan to give it as a Christmas gift.